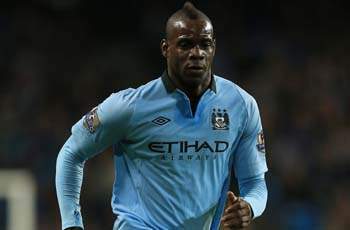 Mario Balotelli is poised to fly to Italy as early as Monday evening ahead of a proposed medical as Manchester City and AC Milan near the final hours of negotiations over a transfer for the striker. The 22-year-old said his goodbyes to team-mates and club staff after completing training at Carrington on Monday morning, and could travel to Milan over the next 24 hours. Superagent Mino Raiola was in Milan last week in an attempt to resolve the Italy international’s future and Rossoneri vice-president Adriano Galliani suggested on Sunday evening that there had been new developments in the saga. On Wednesday, Goal.com revealed that City had lowered their asking price to €23m having dismissed Milan’s proposal of €29m to be paid over six years, preferring a lesser fee spread over a shorter period of time. The Premier League champions are also demanding a 15 per cent sell-on clause as an agreement with Milan appears increasingly likely before the transfer window closes on Thursday night. The Italian giants are willing to sell defender Philippe Mexes in order to free up around €4.5m-a-year on their wage bill and fund a move for Balotelli, with the 22-year-old willing to take a wage cut on his current €129,000-a-week salary. The former Inter Milan star has scored only one league goal for City this season and his relationship with manager Roberto Mancini took another turn for the worse after a very public training ground bust-up earlier in January. That has led to the decision by director of football Txiki Begiristain to sanction Balotelli’s departure, two-and-a-half years after he arrived at the Etihad Stadium from Inter in a €29m move. Balotelli has already given notice on his rented house in Cheshire and has flown a number of his belongings back to Italy. He also held an apparent farewell meal with friends at a Chinese restaurant in Manchester after growing homesick in the north west and expressing his desire to return to Italy following the birth of his first child. Representatives from all three parties involved in the transfer have continually played down the prospect of a January move in public, yet they have been in almost daily contact as they look to resolve Balotelli’s future. Galliani, however, suggested over the weekend that progress had been made in negotiations with City.